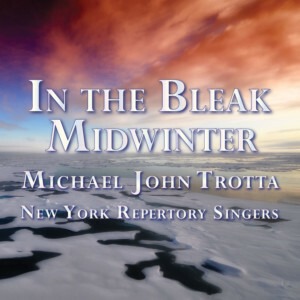 With its Carnegie Hall premiere on May 27, 2017, Michael John Trotta (b. 1978) entered the ranks of composers who have set the Seven Last Words, commencing with Schütz and proceeding through Haydn, Gounod, Franck, Dubois, and MacMillan. Trotta’s Seven Last Words contributes another American voice to this tradition. Only a handful of other American composers have assayed this text, including Robert James Dvorak (b. 1919), Douglas Allanbrook (1921–2003), Jerome Malek (b. 1937), Nancy Hill Cobb (b. 1951), and Benjamin Cornelius-Bates (b. 1978). To the best of this author’s knowledge, this is the first time that a feature-length setting of the Seven Last Words by an American composer has been performed at Carnegie Hall. 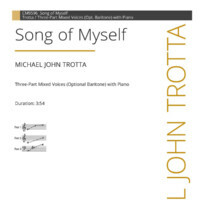 The composer and conductor Michael Trotta has had commissions performed at multiple major conventions such as ACDA, NAfME, AGO, and TMEA. 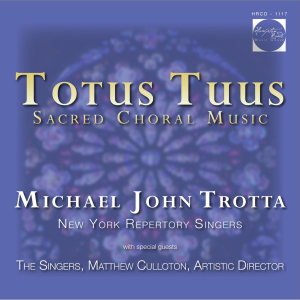 Holding a Doctorate in Choral Conducting from Louisiana State University where he studied with Ken Fulton, Trotta has previously worked in elementary, middle school, and high school positions, as well as serving as Director of Music for several churches in Philadelphia, PA and Baton Rouge, LA. He received both Bachelor’s and Master’s of Music degrees from Rowan University in New Jersey. 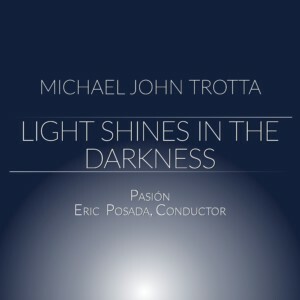 He has taught at Oklahoma State University, Louisiana State University, Rowan University, and most recently as Director of Choral Studies at Virginia Wesleyan College. He currently works as a full-time composer in New York City where he lives with his wife Rachel. He frequently works as a composer-in-residence with ensembles throughout the country. There are already four CD recordings devoted solely to his music. 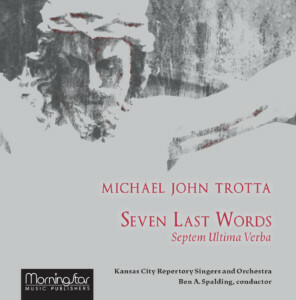 Trotta’s Seven Last Words was commissioned by a consortium of four churches: Highland Presbyterian in Louisville, KY, Ladue Chapel Presbyterian in St. Louis, MO, Westminster Presbyterian in Greenville, SC, and White Memorial Presbyterian in Raleigh, NC. 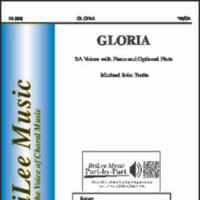 It is scored for soprano and baritone soloists, SATB choir, and small orchestra (flute, oboe, horn, 2 trumpets, harp, tympani, and strings (7.7.5.3.1)). With seven movements, the work lasts approximately 40 minutes. 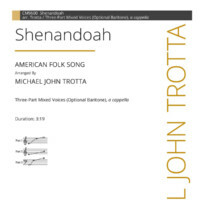 As musical settings of this important text are significantly underrepresented in the English Language [is the word “language” actually capped in the score? ], this work was set in English for those wishing to use the work in conjunction with a religious service. 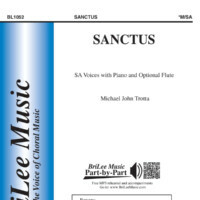 Alternately, to acknowledge the rich history and universal nature of the text, this work was also set in Latin for those who may be those [sic] wishing to use the work in a concert setting. 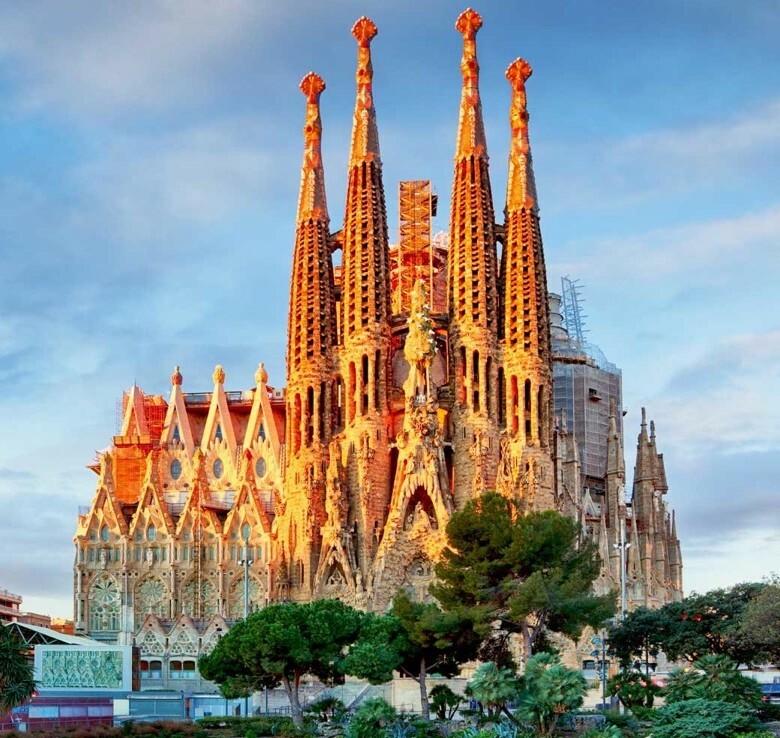 Of course, religious services may use the Latin and concert settings may use the English without diminishing from the work. 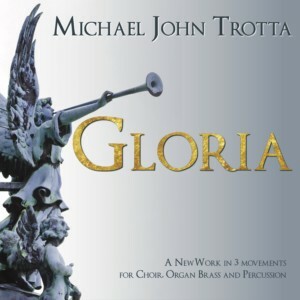 Trotta’s Seven Last Words repeatedly uses two musical motifs to achieve a remarkable degree of compositional unity. The first is a combination of two ascending intervals, a perfect fifth and a second higher (usually a minor second but sometimes major), and the second is four notes in a descending scalar passage. This article introduces readers to this new work by examining each movement in turn and by discussing salient musical excerpts from the score, pointing out the frequent uses of these unifying motifs.